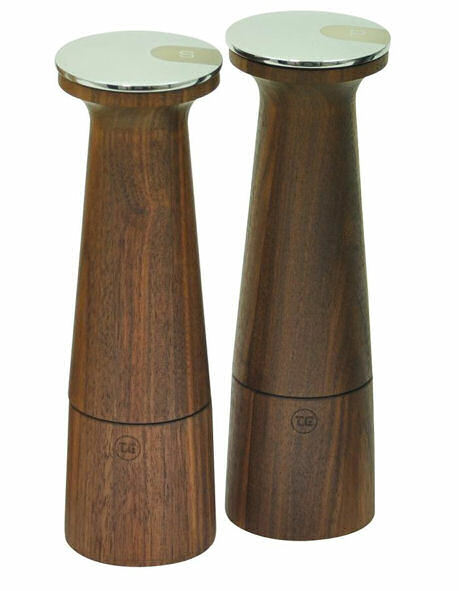 Stylish, sophisticated Pepper mill available in black walnut, definitely not, your normal run of the mills! Lovely to use, and great gifts. Buy the Salt Mill here. More about TG Woodware Pepper Grinder ... a design classic and ideal for the kitchen or dining room, these mills contain the superior CrushGrind® ceramic mechanism which effortlessly grinds not only salt and pepper but also using the same grinder, whole dried herbs and spices, ideal for any budding gourmet.